 The ultimate Detroit Tigers fans deserve to treat themselves to the ultimate Detroit party bus experience, and that's just what you get when you book your transportation to the game with Party Bus Detroit! Our limos and limo buses easily accommodate 10 to 40 passengers, so you can get all your favorite Tigers fans together and "take them out to the ball game!" Forget the peanuts and Cracker Jacks... on our party bus you can bring your own alcoholic beverages and get a little buzz going before or after the game! The bar and built-in cooler will keep them icy cold even if the game goes into extra innings. 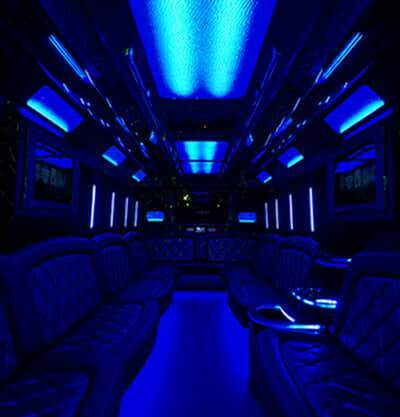 A party bus may seem extravagant, and it definitely is a great luxury! But it need not be expensive if you split the cost among yourself and your friends. Instead of wasting your hard earned money on filling your tank and then on the ridiculously high price of downtown parking, you'll instead be investing your dollars into a lavishly decorated party bus that you and your friends will really enjoy. You'll be driven to the game by a professional chauffeur, and you'll never have to worry about finding a parking spot or choosing a designated driver. Whether the Tigers win or lose, you'll feel like the big winners when you're cruising the streets of Detroit in style after the game. 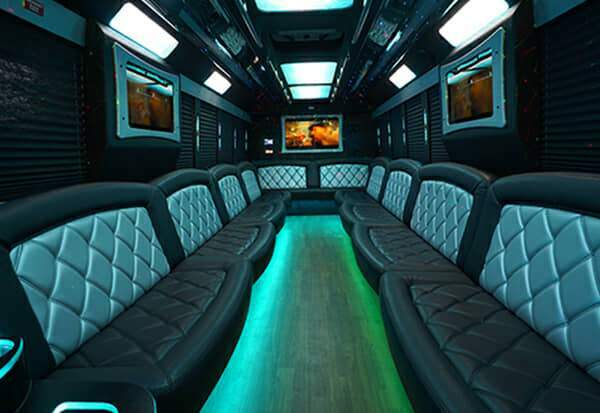 There's no reason to limit your party bus experience to just transportation to the game. You may want to take all your friends to the batting cages earlier in the day, or to your favorite sports shops to buy some memorabilia. You can plan the entire day around baseball-related destinations, perhaps including your favorite sports bars on that list at the end of the night! Our driver will be happy to take you wherever you want to go. (Pick up and drop off locations more than 50 miles outside of Livonia are subject to a $100 fee.) If you were looking to check out other areas in Michigan to go bar hopping check out Michigan Breweries. We'll take you out to the ball game! Detroit's best Tigers game transportation! There's no better way to travel or tailgate! We know how passionate you are about the Tigers. We know that as a longtime, local, loyal fan, you want the best of the best when it comes to transportation to and from the game. You want to be able to party it up with your good buddies and really celebrate a big win, or just have the time of your life tailgating and enjoying a day out in Detroit! We're dedicated to providing just that, with state of the art vehicles, amazing professional chauffeurs, and the smoothest ride you have ever experienced! Our team here in the office as well as our chauffeurs know the hot spots of Detroit better than anyone else! They know all the best sports bars and all the best places to stop and watch the game. You don't even have to be attending the game to enjoy a day out with us because we can take you to local Tigers landmarks and all the best sports bars and you can just have the time of your life! If you are headed to the game, we'll take you there in style, dropping you off and picking you back up right at the door like a VIP! You work hard, you deserve it! You're welcome to decorate the bus for the game and we will even provide you with team decor to do so if you request it! We'll stock our built-in bars with ice and cups for you, so all you have to do is bring your favorite brewskis or other alcoholic (or non-alcoholic, if you prefer!) beverages and you can play bartender all night long! We want to make it clear that drinking on board is absolutely legal since you'll have a pro chauffeur behind the wheel. You'll have no worries about having one too many or having to choose a designated driver. It's the ultimate in worry-free transportation to and from the game! Many of our customers enjoy our service when they're traveling to these Detroit Tigers games and then they ask us if we can handle other types of events! We absolutely do also provide service for all other types of events in and around the Detroit area, so whether you've got a wedding or a birthday or some other type of celebration coming up, or even just a night of bar hopping with your friends, we hope that you will consider us for your transportation needs. We're always here around the clock and always happy to take you anywhere you need to go! We're here and ready to provide you with a 100% free price quote, so please do pick up the phone and let's talk about your plans! We don't need any personal info from you to get the ball rolling. Once you're ready to book your bus, it's just a matter of a simple credit card deposit. If you're dreaming of the ultimate Detroit Tigers party bus experience, get in touch with us asap and let's cheer them on to their next win! Since 2008, we have been Detroit's most trusted party bus company. When you're headed to Comerica Park for a Tigers game or to tailgate, you can't go wrong with one of our party buses! Our vehicles are "party-ready" with state-of-the-art sound systems, TVs, and coolers to chill your beer! We operate 24/7 so call us any time! We can't wait to take you out to the ball game! 34 passenger Our largest bus!